I grew up in Bosnia drinking this during the long cold winter days. On my recent visit there (Nov. ’12) I made the effort to go to this old cake shop in the centre of town and had at least one cup a day. Memories of the happy childhood flooded back. One word of caution, tho: if you are Type 1 Diabetic go easy with this and adjust your insulin doze accordingly. Thanks Ermin for sharing your feelings here! My husband is type 1 diabetic and he drinks it with little sugar if his blood sugar level is low enough. Thanks for reminding to adjust insulin doze, I will tell him that. Hi Weewa, salep releases its scent as it is boiled. It does smell as a powder, but not that much. Thank you so much for this page! I drank salep when I traveled to Prince’s Island last month. It was amazing and I fell in love with it. I live in the UAE, I’m not sure if I can find salep powder here. I hope I will be able to find it and prepare this amazingly tasting drink. The best drink I have ever had. Farnaz, thanks for commenting! Hope you can find it where you live. There are some intant salep powder brands like Dr Oetker in online markets. Maybe you can try them if you can’t find the genuine one. A perfect drink for sure! My daughter has a Turkish friend who brought packets of Salep as a gift at Christmas. It is delicious and soothing and I am now searching for it here in the UK. With the packets you only have to add hot milk which is so easy and just like making a hot chocolate drink. Yummy! Perfect Christmas gift! 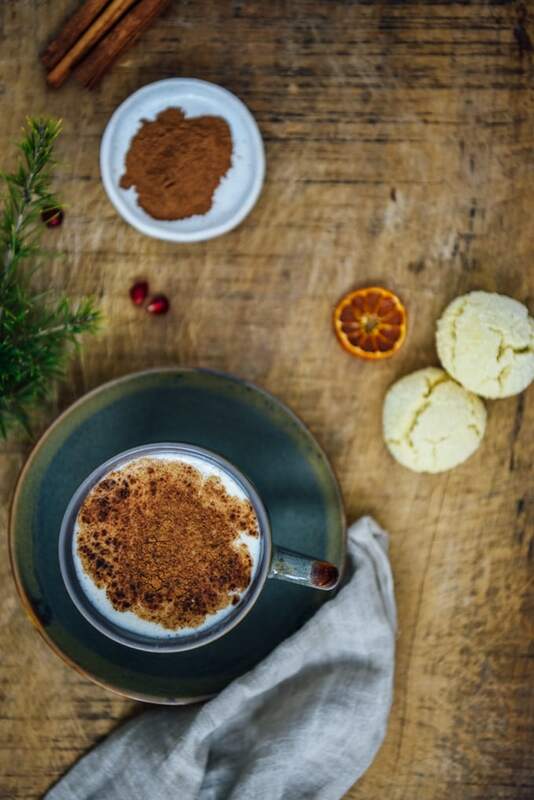 Would be lovely to drink salep when it’s snowing outside! Didn’t know it’s that famous in Albania. Great to find salep at bars! We have that chance here in Turkey too, but not all of them serve genuine salep. Salep is definitely so addictive, isn’t it? I don’t know any online markets selling true salep, but you can find commercial version of it at Amazon. I know Dr Oetker’s instant powder salep drink is not bad. Could you clarify on the starch for this recipe- corn starch, potato starch?? Do people sometimes add ginger as well? I’m really happy I found your website. 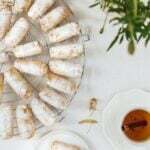 It encourages me to keep trying new recipes and now that we’re living in Turkey, I am learning more local dishes to use what is readily available (on the sebzeci’s wagon :-)). I will be sure to tell my children about the two orchid bulbs next time we drink this! Thank you. Gayle, I used corn starch, and for ginger, it might add a nice flavor. Why not? Glad to hear you love my recipes. And yes, you can always find cheaper and better fruit or vegetable on sebzeci’s wagon! Thanks so much for this recipe! I just got back from Istanbul where they served Salep everyday in the lobby of our hotel. How could you not fall in love? I found the PURE 🙂 powder at the spice market and am excited to try it out. It’s awesome if you have the pure salep powder! The smell when boiling is absolutely inspiring! Amazing! Zerrin, This drink looks just like our Mexican Drink Atole, me make it using different types of flours. I will have to look for the Salep flour to try this drink. I have a post in my blog about our Atole drink, I hope you visit it t check how similar the drinks are. Wow! Even the presentation of your Atole looks so similar to salep’s! Bet it is as yummy! I just got back from Istanbul,, and this sahlep is the one thing I had to bring back with me. After sampling it at “Turkbucks”, where they serve it in a very large mug and with a frothy surface, I was sold. I found it in the the Turkish market. I bought one package of Instant, because it was more reasonable and simple to make. You can just add some boiling water or half water & half milk. I also bought a small amount of the powdered stronger version that needs to be boiled as directed in the recipe. However, extra starch was not called for, so they may have added that already to it. It is amazing! I found your recipe as I was looking for variations on how to prepare and flavor it. It is good just by itself, but its always fun to try a variety of garnishes, like chocolate or nutmeg. I also bought some Turkish Delight to go with it. That is another recipe to be attained. Thanks for your detailed information about how the sahlep is extracted from the secondary orchid bulb. I knew that it was from ground orchid seeds, but not exactly how they did it.. Blessings to all that enjoy this bit of Heaven. Helen. PS. I did wonder about the calorie count. I also hope that someone into plants is figuring out how to grow these orchids enough to both maintain and protect the plants and the ability to harvest this amazing drink from it. Salep has such an outstanding flavor that you become addicted after the first try. The instant ones are absolutely more practical, but not as tasty as the original one. Turkish delights sound perfect with this yummy warming drink. They make a perfect couple! As for its calorie, I have no idea. It’s so tasty, so who cares? I am in Istanbul right now and yesterday I first tasted sahlep. Well, it’s soft and creamy and the taste itself is so warm and kind and welcoming – it’s just like all the momm’s love is in it.. I will try to find it today and take some with me. Thank you for the recipe! It has mom’s love in it. Love your description! I just returned from Isreal, and while there had an opportunity to try Salep. The vendor gave me a sample taste, as my friends explained that I was from the States and had never had it before. I instantly fell in love with it, and went back for more later that same day. Very much looking forward to trying this recipe. Just hope it’s as good as I had over there. Learn something new every day, I have never tried nor ever heard of Salep, but it sounds like an ingredient I would love to sample. 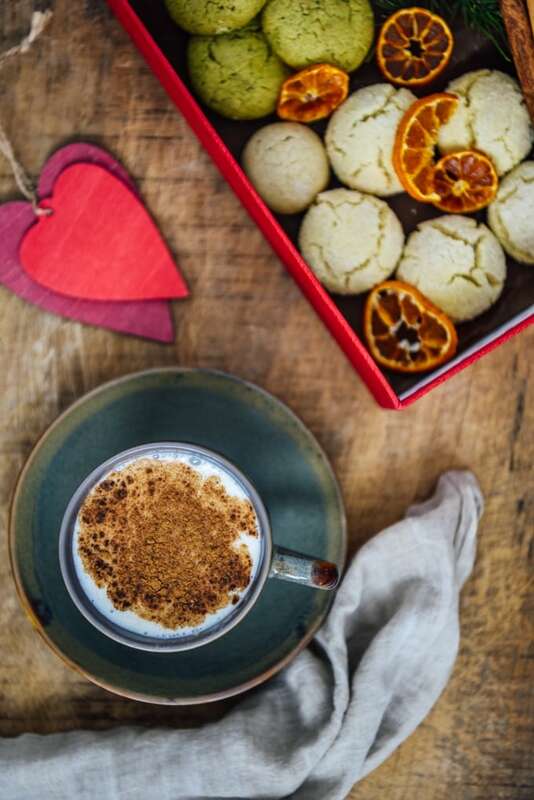 Salep sounds wonderful, I have never heard of it but would be tempted to try it! It should be drunk while eating a warm, ring-shaped, pretzel-like sesame roll. It is delicious, and the most warming food I have ever tasted … it was the only thing that allowed me to survive several weeks of winter in Turkey. I tried commercial salep powder. It’s available on Amazon as “sahleb” which is the transliteration from Arabic. You can make it a cup at a time: 1 tsp. of sahleb powder mixed with 1 tbsp. of cold milk. Bring a cup of milk to a boil, add a few tbsps. of the hot milk to the sahleb powder mixture, then pour the mixture into the hot milk. Return to the boil, stirring. Add sugar (I used Splenda and it tasted great) and 1 tsp. rosewater. You can do this in the microwave — I used a 4 cup Pyrex measuring cup to hold the sahleb. Just be careful to watch the milk so it doesn’t boil over. You may have to start and stop the microwave several times. Stir each time you stop the microwave. The end result is a slightly thickened hot milk with a subtle flavor that makes a great before-bedtime drink! If you like, add a dash of cinnamon, or some finely chopped walnuts or pistachios as a topping, and enjoy! Be aware, though, that the flavor of the commercial product is pretty subtle. You might get the same results just using cornstarch to thicken the hot milk, flavored with rose water, and it’s much less expensive! Using pure sahleb might make a difference in the flavor. But the plant has apparently been hunted to near-extinction in much of the Middle East, which is why the pure sahleb is so expensive now. how interesting. never heard of a drink that came from orchid before. i would really love to taste this.. thanks for sharing.